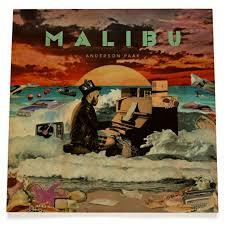 Anderson Paak’s 2016 hip hop hit Malibu has to be one of the most entertaining, intelligent and genuinely enjoyable albums of its genre. It’s poppy and funky, creating a bridge for fans of the Top 40 and most mainstream pop from the past to walk along and enjoy, which is credit to Paak’s crafty musical brain. While Malibu has some brilliant tracks such as Celebration and Water Fall (Interluuube), which manage to pack in some fantastic lyrics and musical brilliance, there are pitfalls of the album too. Tracks such as Silicon Valley sometimes just don’t quite cut the mustard – at least for someone who usually listens to rock and pop music and most things from the ’70s and ’80s. There is something meaningful about Paak’s album, too. Be it references to the Vietnam War or love, there are just some moments when listening to Malibu when you can genuinely be nothing other than blown away. Sometimes you just have to sit and think about it. Malibu is well worth a listen. If not for it’s lyrical and emotional quality, it’s sheer musical brilliance.